Pennsylvania health systems UPMC and PinnacleHealth System announced last week they have agreed to affiliate. PinnacleHealth, based in Harrisburg, also said it will acquire four Pennsylvania hospitals and medical centers from Community Health Systems in a separate transaction. No financial terms were disclosed for either deal. 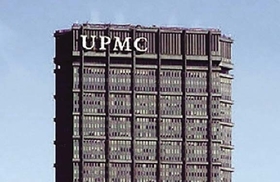 PinnacleHealth said the affiliation with Pittsburgh-based UPMC, which has more than 25 hospitals and a not-for-profit health plan, would allow the system to expand its healthcare services and advance quality initiatives while providing more health insurance options for patients. The three-hospital system said it has been exploring a “collaborative relationship” with other providers. UPMC posted operating revenue of $13 billion in 2016, while Pinnacle's total revenue in 2015 was $1.07 billion, according to federal filings.